With the blessing of His Grace Bishop Youssef, bishop of the Coptic Orthodox Southern Diocese and on behalf of the LEAD Program leadership team, we are excited to host our annual conference, LEAD BEYOND. The goal of this annual event is to LEAD and empower BEYOND our power so that as leaders, we can empower others to grow, build, and advance the kingdom of God. The skills presented are based on Christian principles that provide growth in all aspects of our personal, spiritual, and professional lives. Topics covered will be relevant, personal, and focused on our personal and professional development and interpersonal skills. Our third conference will be held June 7-9, 2019 in Houston, Texas. This year’s theme will be “Managing, Harnessing and Motivating Teams”. Note that this year, we are hosting the conference in Houston, Texas. Whether you are an active servant seeking opportunities to grow and lead in your community, or a LEAD Program graduate wishing to further your leadership education—this conference is for you! 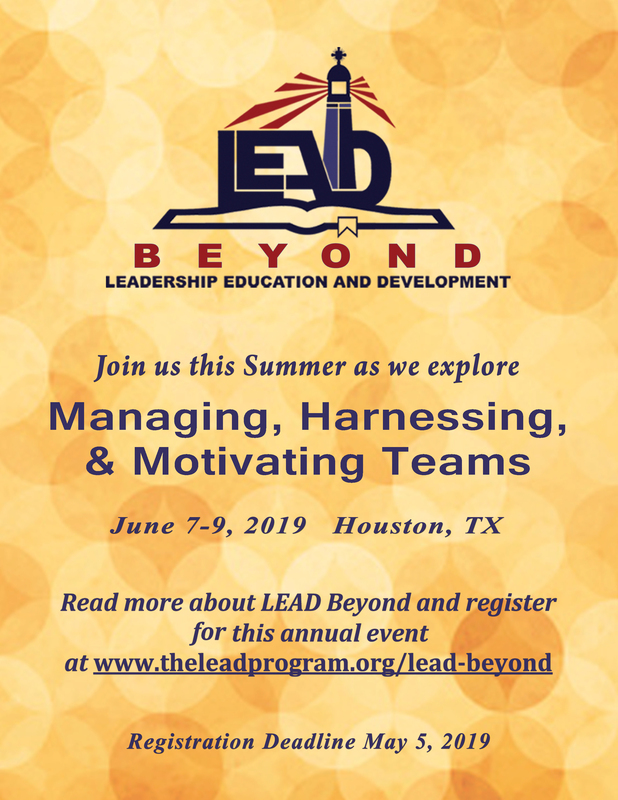 Click on the image in the top-right corner to view and print out a flyer for LEAD Beyond. Spread the word at your local church!